I have a feeling this game will need a topic of it's own eventually so I thought I would start it now. Check out the GWJ spreadsheet. My body is ready! I've never "gotten" Smash, but now that my two kids can play it with me, I'm on board to make this my first one! Simon Belmont is a really cool addition, but man, how can they continue to deny Toad a fighter slot? Come on! Stamina mode is interesting. As is the Final Smash meter. Curious that they're adopting broader fighting game conventions at this point in the series. I like the idea of being able to toggle stage hazards off. And I like the idea of swapping stages mid-fight. Let everybody dial in the amount of chaos they want according to their mood! I'm just hoping that most of it makes it into competition. The way the Sm4sh competitive community went, all of the matches were boring to watch, and as a competitor, boring to play. I can get behind no items and no smash balls but artificially limiting stages? Come on. Stages can make or break characters. It should be more open. There's already a loud group saying no way to having the chargeable Final Smash turned on for competition, No to Stage Morph, no to anything but Battlefield or Omega versions of stages, the works. Including the former champion ZeRo. The customizability of this game is insane. I particularly love what I'll call the fighter elimination mode - it's somewhat reminiscent of character drafts in MOBAs, a cool feature in a genre I don't like at all. I was already pretty pumped about Smash before today's Direct and I'm even more so now. It sounds strange but the music was a highlight for me. I love the music in Smash, and I noticed Ballad of the Goddess playing which is my favourite Zelda track. Don't know yet what I think of using the Switch as a music player but I did make use of that feature in Smash 3DS so maybe it'll be good. I'm really curious about the fuzzed-out green option on the main menu too. I'm hoping for some good single-player content. Stamina mode is interesting. As is the Final Smash meter...And I like the idea of swapping stages mid-fight. Let everybody dial in the amount of chaos they want according to their mood! I agree with all of this, I like Smash cause it's fun and chaotic. I think these are all great additions. Bring it on! I would really enjoy an adventure like mode that plays through the history of the smash games. The rest of the game is so ULTIMATE they have to do something good with single player, surely! Every time I see the directs for this game, I get a silly grin on my face. It reminds me of the good old fashioned goofiness that I love in video games. I already preordered it, which I really don't do with many games anymore. I don't know about everyone else here, but I definitely lean more towards the controlled chaos of items on, stage-changing, free-for-all version of smash, than the more clean 1v1 games. As long as there are enough people playing that online, I'll be happy. I’m happy they’re bringing back classic mode, but I really want a full on adventure mode. They said they intend to announce every character before the game launches. So I assume that means that there will be Nintendo Directs in the coming months. There was also an interesting thing I read about the chairs in the background over analyzing and saying Waluigi will be playable. As someone who has barely touched the series, I'm with you on embracing the chaos. Seems fun! Urban Champion and Dog from Duck Hunt....snubbed again. Yeah I picked up on them saying they're going to announce all the characters before launch too. I can't believe there are still more characters to be announced at this stage! Any guesses who's left or how many we'll end up with? I'm the same. I'm looking forward to seeing the unruly mess that is multiple fighters triggering their mini smash one after another. I've forgotten all my words! I like it, a lot! I don't think I can justify buying another Pro-Controller though. At least I'll know it's out there in the world! I keep wanting to replay an old version of smash because I’m excited about the new version, and then stopping myself because I want the new version to feel fresher. This is by far the best looking special edition controller I've ever seen. That's not saying it's anything really special, but it's not awful like 99% of the rest. I'd get it if I didn't have the regular one. Digital on the game. 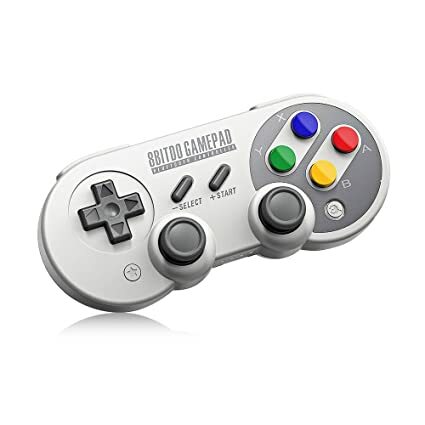 Amazon for the Controller. I have the Xenoblade Chronicles 2 Pro, and in comparing it to the normal Pro, the D-Pad is definitely improved. It looks like this controller has the same D-Pad, and the Smash controller looks better overall to my eyes. That's interesting, I don't know anyone with the Xeno 2 Pro so I hadn't heard that. Everytime I see this I think that maybe I could justify buying it...but I really shouldn't! As of 26th August, Smash was already the best selling game of 2018 on Amazon.com based on preorders alone. I know there weren't as many big hitters this year, but that's still pretty impressive. Yes I like to save $12 on Amazon pre order. But having Smash always available is worth it. Did the same with Mario Kart. Regret not doing the same with Splatoon, as I am too lazy to change carts sometimes. You'd need to be a heavy Splatoon 2 player for this to be worth it...but I think it's 33% off now if you were ever tempted to get a digital copy. I don’t think amazon is doing 20% off anymore. I know they are doing away with it but, I am not entirely sure on the date that it starts. Instead you get a $10 credit for Amazon, I believe. I think it's been suggested that the Smash preorders flooded in early so people could still get that discount. There's nothing like that on Amazon.co.uk unfortunately, it just tends to end up being about €5-€15 cheaper than the eShop price. A better D-pad means less for Smash Ultimate since it doesn’t use it for anything other than taunts. For games like Hollow Knight, Dead Cells, Shovel Knight or fighting games like BlazBlue Cross Tag Battle and Pokken it’s a godsend. The buttons and triggers also felt better to me, though I don’t think that changed much. Yes. I don’t like changing carts all the time. I have 3 physical games (Kart, ARMS and Mario v Rabbids Kingdom Battle) and I rarely change them. I also like having it the day that it drops without having to worry about getting a box/hitting the store. It’s also one less thing to lose when I travel with the Switch. I haven't even tried my pro for hollow Knight. Just been playing it portable the whole time. Maybe that's my problem. I certainly had trouble with a couple sections where I had to down+attack to bounce. Yeah I think I'm pretty much convinced that I should go digital now...I really like the idea of being able to dip in and out of this whenever I feel like it. It's off-topic, but I have an 8bitdo SF30 Pro (pic in spoilers) and I never thought to try using it with Hollow Knight. I should give it a go!